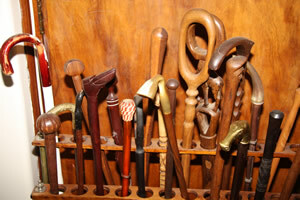 Sandringham Gardens has been caring for the Jewish aged in Johannesburg for over 100 years. Our residential facility is haven and home to 400 senior citizens, many of whom are, sadly, in need of long-term hospitalization. For those in the residential section who are well enough to enjoy the wide range of amenities on offer, regular entertainment, outings, in-house functions, religious lectures and a beautifully maintained “heimish” shul, with services 3 times daily, are on hand. Also available are a hairdressing salon, library and Nosh Bar which supplies delicious snacks at excellent prices. Tasty and nourishing food is prepared by the professional catering team who pay faithful attention to special dietary requirements. Naturally, healthcare is an essential component in a facility of this nature and the Community Medical Centre provides professional and excellent coordinated medical care to those in need of it. Physiotherapy, radiography, dentistry, speech and hearing as well as a fully equipped pharmacy, are all part of the Centre. There are 5 full time General Practitioners and a large nursing staff. Access to visiting specialists is arranged. Our remarkable residential facility is a warm and caring place and sits amidst beautifully cultivated and maintained gardens which, weather permitting, the residents enjoy enormously. Unfortunately, more than half of our residents are partially or fully subsidized by the Chevrah Kadisha Group as they are unable to afford the modest accommodation fees. It is for this reason that continuous fundraising is essential for the Home. “It was at the Annual General Meeting of the Chevrah Kadisha held on 27 August 1911 that the General Body empowered the Committee to carry out a scheme of establishing a Home for the Jewish Aged. A Special General Meeting of the Chevrah Kadisha was held on Sunday 18 February 1912 at the Hebrew High School – the business of which was to confirm the purchase of a suitable piece of land for the establishment of a Jewish Aged Home. The Home was called “Witwatersrand Jewish Aged Home – Beit Moshav Zekeinim” and was officially opened on 30 June 1912. There were 12 residents – 8 men and 4 women”. Over time and for many years, Sandringham Gardens has operated independently – though always with strong ties – of the Chevrah Kadisha, but on the eve of Rosh Hashana 5761 / 2000 these two century-old welfare institutions merged, thus completing a time-cycle that began in 1911. 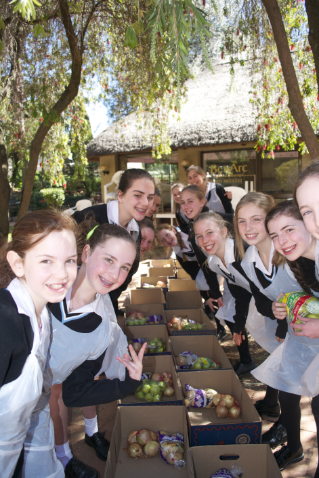 Small hands made a big impact when 200 bat mitzvah girls joined regular Chevra Kadisha volunteers at Sandringham Gardens in Johannesburg to pack more than 250 food parcels for recipients of welfare. The girls, who attend schools around the city of Johannesburg such as Eden, Fairways, Crawford, Hirsh Lyons, Torah Academy and the King David's are part of the Roots Bat Mitzvah Programme which aims to teach them the concept of chesed and acts of loving kindness. Educational Director, Ronit Janet, runs the program with a dynamic team of Madrichot and endorsement from Chief Rabbi Goldstein. The Chev's food parcel program has been running every week for many years, with additional supplies on offer for festivals. "No-one is ever turned away" says Shirley Resnick, Chev Financial Assistance Manager, "Anyone who comes to us to ask for help with food will get it". 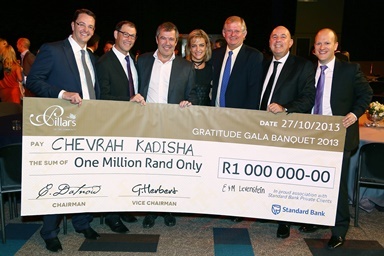 CHEVRA KADISHA PILLARS GRATITUDE GALA BANQUET 2013 Written by the Chev The invitation themed the function “OUR CHANCE TO SAY THANK YOU”, promising there would be no fundraising targeting existing Pillars. And that’s exactly what the Gratitude Gala Banquet on October 27th delivered. 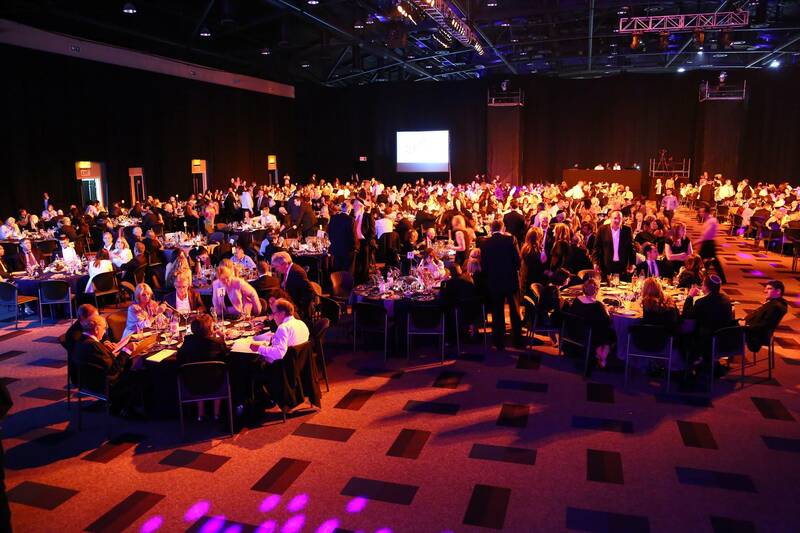 It was a gracious, elegant affair held at the Sandton Convention Centre and attended by over 1,100 Chev supporters of every age. Their objective was to ensure that every donor felt appreciated. Homing in on this concept were several grateful recipients of Chev support, two of whom ascended the podium to share their touching stories. Monique Price spoke eloquently of motherhood - the hardships and sacrifices faced by her own mother when her father passed away at a young age, leaving her to raise her children alone on a teacher’s salary. Today, Monique is a doctor, only because the Chev helped her fulfil her dream to become one. Chad Wright, 26, articulate and well-groomed, talked with quiet confidence about the two lives he has thus far led: the first of drugs, prostitution and desolation; the second of peace, comfort and support, which began, finally, with his move into Arcadia Children’s Home at age 13. Wayne Kopping’s touching video depicted more real stories of ways the Chev has helped people grappling with intellectual disability, fighting their way through depression, and recovering from simple bad fortune. Chairman, Colin Datnow and Vice Chairman, Gary Herbert were privileged to share the stage with the legendary Jacko Maree. 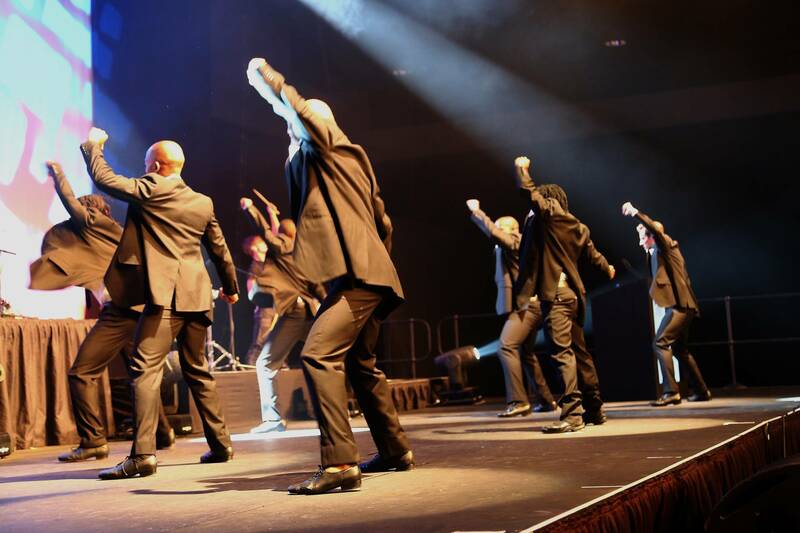 He represented the Pillars partner, Standard Bank Private Clients, who not only sponsored the function, but also offered a million rand cash prize to the donors lucky enough to win the draw. It turned out to be Eric and Mireille Levenstein who stunned and delighted the guests by promptly donating the award money back to the Chev! The décor and menu exemplified tasteful simplicity and dazzling entertainment was provided by violinists, drummers and tap dancers. As well as each Pillar donor received a personally inscribed commemorative book. 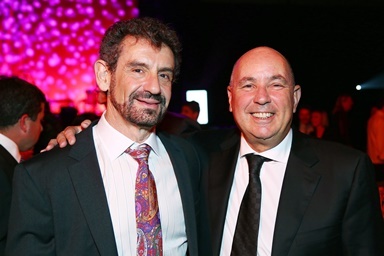 The message throughout the evening was clear: while the Chev does the work, it is their donors who provide the means and rightfully deserve the credit. A LIFE TOUCHED BY…. SANDRINGHAM GARDENS Anthony Fisher is 42 and used to run his own business in wooden doors and windows. In October 1999, while skiing on the Vaal with some friends, Anthony had a life-changing accident. He lost control of his jet-ski and it hit him on the head. He was rushed to the Milpark hospital and remained there in a coma for weeks. His mom, Arlene, says the hospital wanted her to pull the plug but she refused to do that. After a month she moved Anthony to a hospital in Durban where, a further two months later, he finally came out of his coma on 24 December 1999. “He was like a small child”, says Arlene. “He couldn’t talk or walk and a long road of rehabilitation began”. 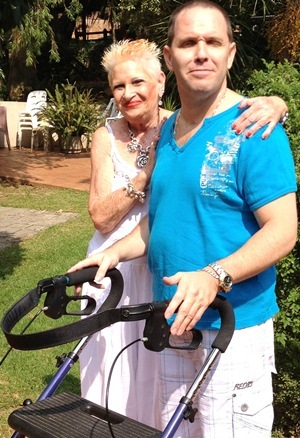 She would take him from their home in Balito to Durban every day for physiotherapy, speech therapy and OT. 11 years after the accident, in October 2010, Arlene had to leave her beautiful beach house and move to Sandringham Gardens with Anthony for financial reasons. When Anthony arrived at Sandringham Gardens he was barely walking and was dependent on Arlene for almost everything. He needed, and was given, lots of therapy. Now, after only 16 months at Sandringham Gardens, to the delight of both mother and son, Anthony can walk really well. He uses a walker sometimes, but on good days, he can walk with a stick and barely leans on it. He dresses himself, takes himself for haircuts, socialises, showers on his own and goes to gym at Wanderers twice a week where his friends are. He goes to shul every morning and afternoon and helps to make up the Minyan. “Since Anthony came to Sandringham Gardens I can’t even begin to describe how much he has improved in such a small space of time” Arlene says. “Everybody knows him and he is very popular. There are always people around him and it has brought him out of his shell. He loves it here”. Anthony confirms this and says he is very happy at Sandringham Gardens. He has made so many friends and is never lonely. The older ladies love dancing with him at every opportunity and he spends time visiting the sick in the hospital. He has a strong support system and feels like he has a huge family within Sandringham Gardens. Sisters in Isolation This amazing story is entirely true although names have been changed to protect their identities. For over 40 years, two sisters occupied a one-bedroom apartment in Hillbrow. With the passage of time they retreated further and deeper into their own world and away from society and contact with the outside. Afraid of lifts and distrustful of people, they remained inside their home for 25 years and allowed visitors no entry. Their meals were delivered to them and all business was conducted telephonically – including their dealings with the Chevrah, which provided them with moderate financial support. The one situation they lived in fear of – knowing they could not deal with it in their self-imposed exile - was illness. Ultimately, that was what changed everything for them. Shirley Resnick, Manager of the Chevrah’s Financial Assistance Services, says that she has been working on the case of the isolated sisters for 10 years, doing everything she could to persuade them to leave their apartment and move into Sandringham Gardens. Five years ago, when the younger sister, “Melanie”, discovered a breast lump, it almost happened. After much persuasion she agreed to see a doctor at the Chevrah’s Community Medical Centre, who referred her to a surgeon. For each appointment, Shirley collected and accompanied her. The sisters’ worst fears were realized. A mastectomy was urgently required which would include a few days at the Rosebank Hospital and post-operative respite care at the Sandringham Gardens hospital. It was hoped that her sister, “Florence”, would join her at Sandringham Gardens and that they would stay. But after 3 weeks Melanie returned home. Then two years ago, Melanie called Shirley in panic. Her sister was ill and needed urgent hospitalization. Shirley called Hatzolah and accompanied the ambulance to collect and calm the sisters. The emergency team at Linksfield Clinic staunched the bleeding and discharged the patient into the care of Sandringham Gardens. They came to Sandringham Gardens together with only the clothes on their backs and have remained as residents for the past 2 years. “This place is heaven on earth” said Florence. “And we have barely scratched the surface of what it has to offer!” These two lovely ladies now feel enormous relief that they have escaped their “self-incarceration” and see this move as a very positive sign for the future. Shirley says they are well-liked and that they feel a lot safer and happier. 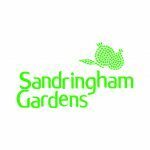 “I am very happy at Sandringham Gardens,” said a resident who recently moved in. “I am never lonely and have made new friends. I know everybody and am kept busy. The medical staff and cleaners are wonderful. The food is excellent and healthy. If I need any extra help I can ring a bell. My room is comfortable, fully carpeted and north facing and it’s always kept clean”.